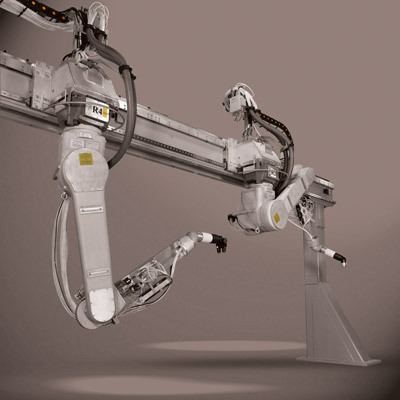 Requiring less power to operate, the aluminium lightweight arm fitted to FANUC paint robots saves your money by lowering your energy costs. Aluminium construction also provides additional safety benefits since there is no risk of ignition should a collision occur. Likewise, its smooth exterior surface helps minimise contamination and makes it especially easy to clean. 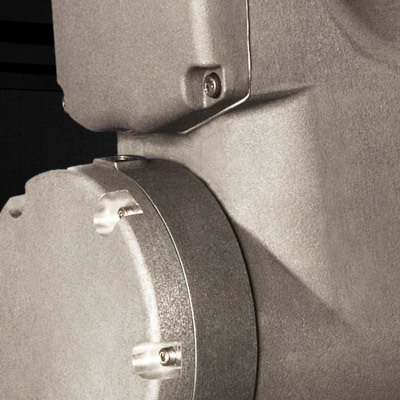 Because cabling and services are routed through the robot arm, FANUC's patented hollow wrist on the P-50iB and P-250iB/15 models completely eliminates both the risk of cable snagging and contamination from paint debris falling from exposed hoses. 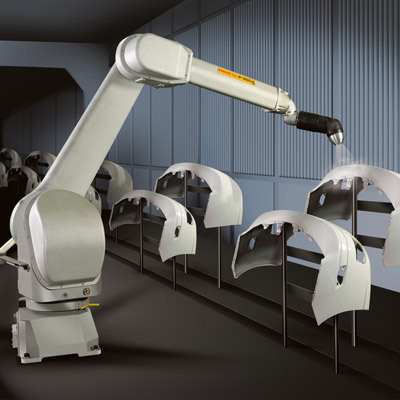 To provide maximum adaptability in painting and dispensing environments, FANUC paint robots are available with a range of floor, wall, invert, angle and ceiling mounting options. Offering huge locational versatility, these options allow you to make the best use of precious workspace and, when ceiling mounted, allow very easy access for servicing. Spraying with hazardous vaporous materials carries the unthinkable risk of an explosion, complete with all the financial, material and human costs that this could involve. 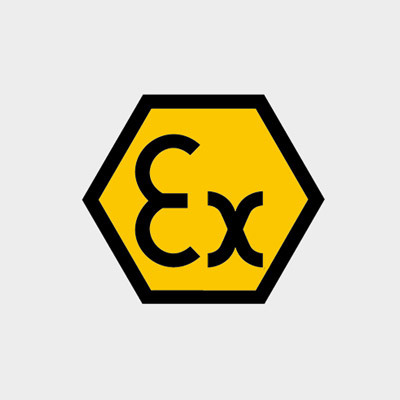 To keep you and your production facilities safe from explosions all FANUC paint robots are explosion proofed and fully ATEX compliant for Category 2 and Group IIG (previously zone 1). 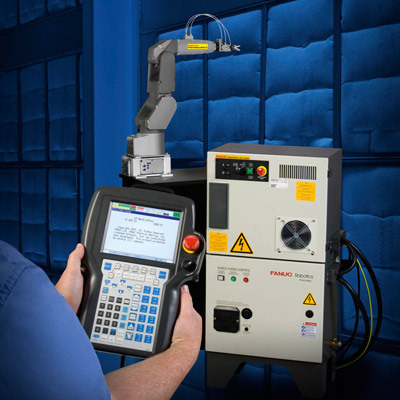 Requiring very little or no previous programming experience, PaintTool™ makes configuring and operating FANUC paint robots easy. With a range of standard configurations onboard, the software also saves you time across a host of process parameter settings including colour change, line tracking, path teaching and much more.